I might have started on a dark path this past weekend. My aunt is in town until Christmas. Party over here My aunt is the best because: 1). She taught me how to put on makeup. 2). Her side ponytail game was fierce. 3) She always snuck me into r rated movies(don’t judge her- The Matrix was critical) 4). She makes a bomb naan bread. So I asked(BEGGED) her to teach me how to make naan. 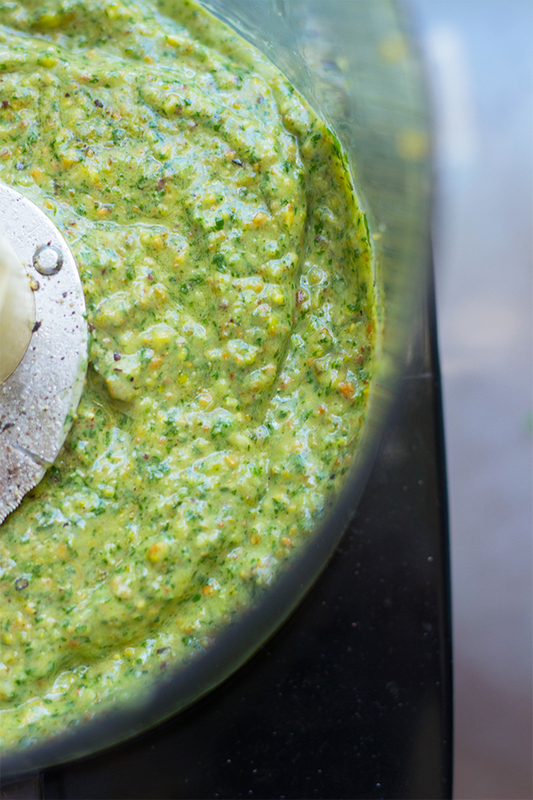 BIG mistake… I literally spent all weekend making 2 things: Naan and this little game changer- cilantro lime pesto. Picture it with me warm bread straight out of the oven. You break the bread apart and not even waiting for it to cool off you dip it into this tangy sauce. PURE BLISS! I might need your help to break this habit. 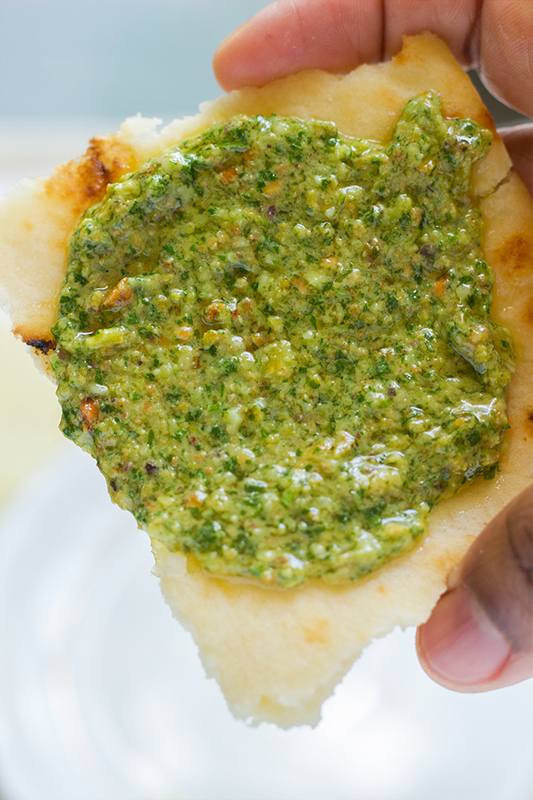 I make naan bread then I immediately make this cilantro lime pesto. Then I take the naan and smear the pesto all over it. I then repeat that process until all the naan and/or pesto is all done. I am obsessed. I might need to have an intervention, I need help. 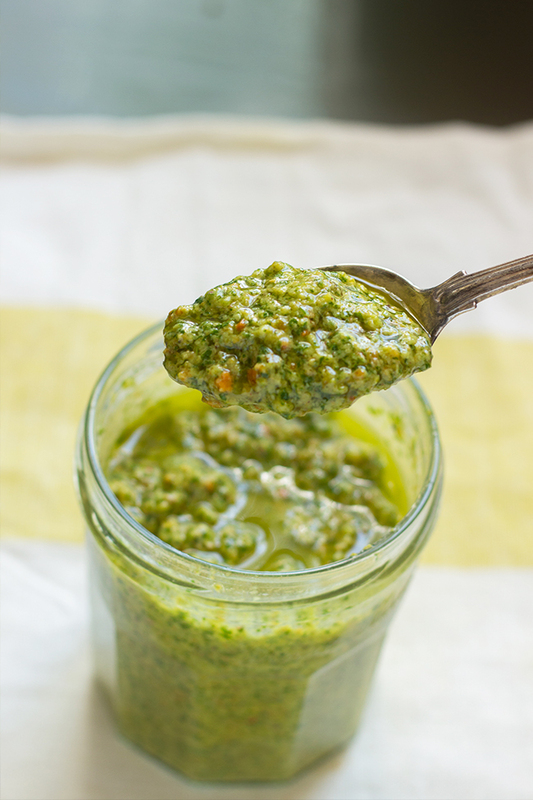 This cilantro lime pesto is seriously addicting. I have used it as a dressing, as a dipping sauce, as a marinade. It really is that amazing and just that versatile. Did I mention it only has 5 ingredients? Basically, if you have cilantro, lime, pistachio, olive oil, and garlic you can enjoy this awesomeness. Take a journey with me- I had it on toast, salmon, roasted vegetables, pasta, scrambled eggs, and naan. This might just be the perfect condiment. Seriously I haven’t found one thing I don’t like to eat this cilantro lime pesto with. The best part is that it requires almost zero effort and is ready in literally 2 minutes. More time for eating. I mean that’s what is really important right? Make it today. Let’s be pesto buddies. Put the Pistachio, lime juice, cilantro, thyme, garlic, and red pepper flakes in food processor. Turn on for 20 seconds. Then through the feeder hole stream in the olive oil. Until thickens. OMG I need to make this!! It looks SO good!! This pesto looks so darn good! 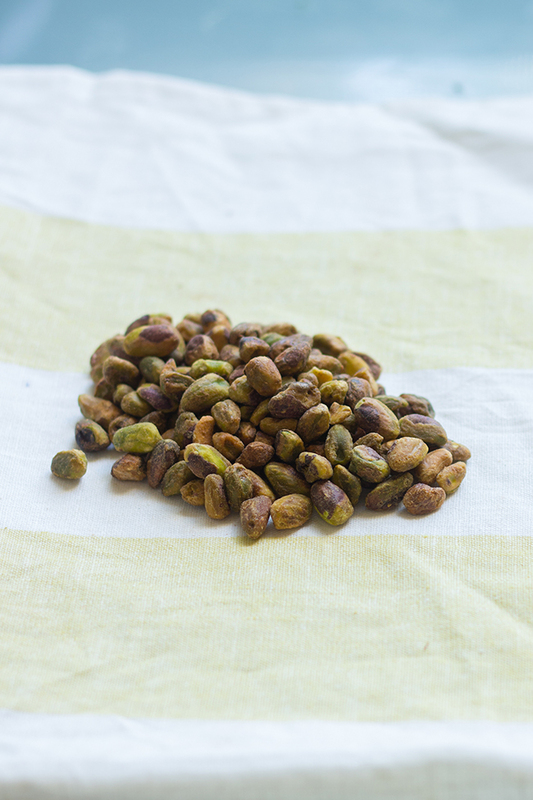 Adding pistachio, what a great idea! Thanks for sharing! Thanks Ashleigh 🙂 Pistachio for the win!!!!! I am obsessed with pesto. And your recipe sounds incredible. Pinning because I definitely plan on making this soon! Ooo yum! This sounds so good. 🙂 I want to try this like…right now. 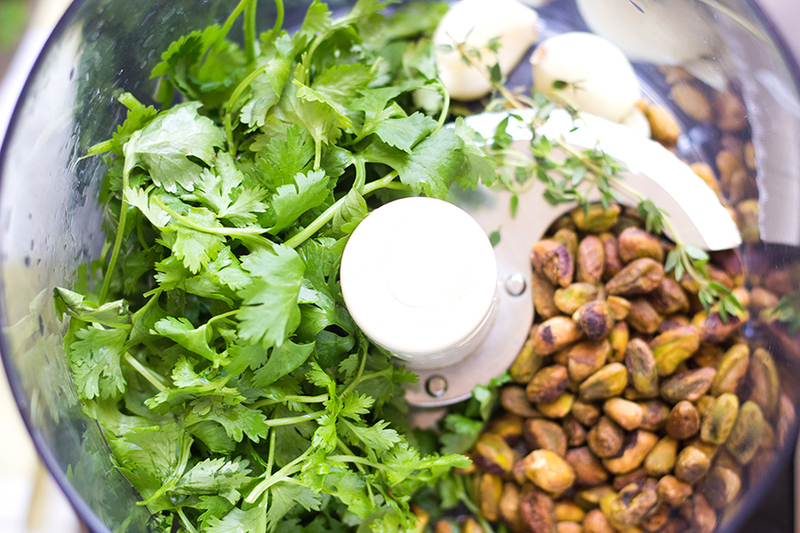 Some of my favorite ingredients: lime, cilantro, pistachios. Thank you for sharing! Those are some of my favorite ingredients too Cassie! This looks so darn good I definitely have to make this! Lol at your happy dance Maya:-) This pesto is worthy of it for sure! I have all these ingredients and I will be making this before dinner. Thanks for sharing this delicious recipe. 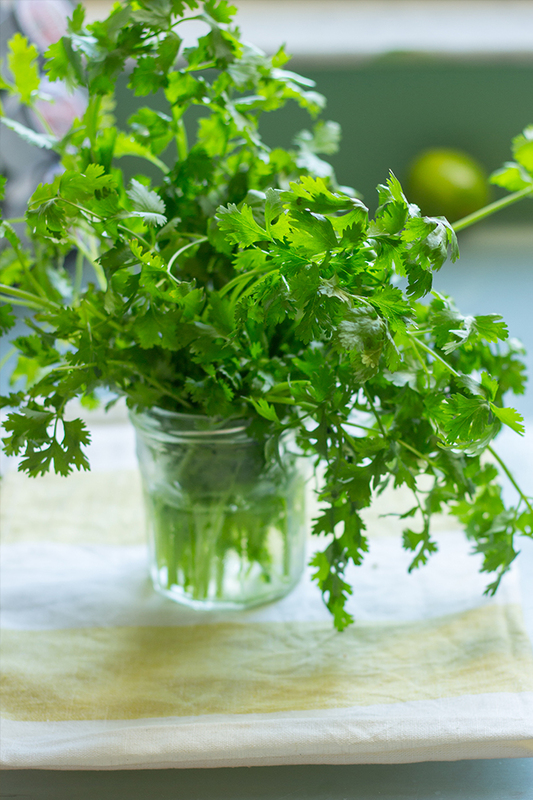 Cilantro, lime, and pesto are literally three of my favorite things ever! So this sounds like a no brainer. Thanks for sharing! 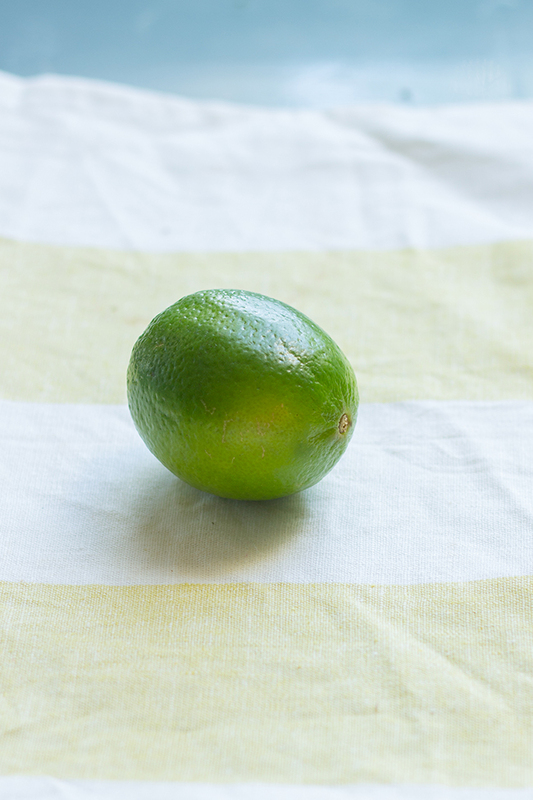 Thank you so much Kelsie:-) Cilantro and Lime are a match made in food heaven. Aunties are the best! This sauce looks amazing. Thank you, Sharon.Aunties are pretty awesome like an older cooler sister. Thank Amelie!!! Let me know how you like it. I’ve made it 3 days straight now.